Navigating the waters of investment attainment and community approvals for natural resources mega projects in sectors such as mining, oil and gas, water, and agriculture and forestry, is becoming increasingly complex given greater scrutiny from stakeholders, and the explosion of data employed in reporting. With more competition for investment dollars and communities wanting greater assurances of the impact on them, executives they must be able to communicate that the data used to quantify a resource, make financial return estimates, and its lifecycle is accurate. For companies involved in bringing mega projects to life, this means stakeholders must have a thorough understanding of the project and confidence in the data behind it in order to gain their buy in. Many different data sources and individuals contribute to a project including the collection of geological data, modeling of this data, development of engineering plans and various kinds of analyses. The more data sources and the more times data is manipulated, the more opportunities for errors and lack of oversight is introduced. To meet reporting regulations such as Sarbanes Oxley, JORC, NI 43-101, SAMREC, etc., information provided by companies must be accurate and verifiable through auditability. 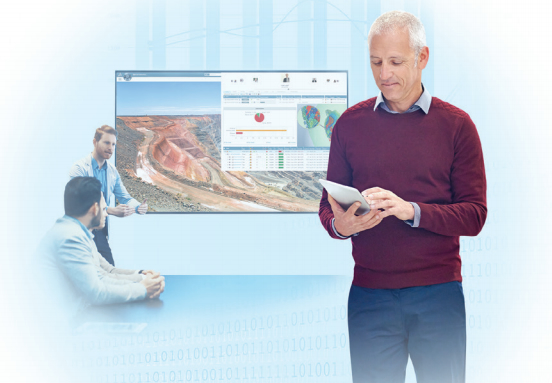 An integrated platform-based approach for data management, geological modeling, design, engineering, and economic analysis spanning exploration, construction, operations and ultimately reclamation, will provide confidence in the data. Platforms with workflow and approval procedures ensure correct handling of data, oversight of its use, and traceability of how it was modified. When platform managed is used to visuals and reports for investors and communities, it is automatically the most up to date and its validity assured. At the same that investors are requiring more insight into projects, communities are demanding a greater voice in the projects proposed for their jurisdictions, starting with a better understanding of the benefits they will provide and the impact on the environment. In a time when social media spreads opinions quickly, it is paramount that Natural Resources companies are able to provide all stakeholders with a thorough overview of their proposal. This is requiring Natural Resources’ company executives to seek ways to communicate more effectively and ultimately more visually with their stakeholders. If the old adage says that pictures are worth a thousand words, a new adage may be that 3D simulation is worth a thousand pages. When platforms have built-in 3D simulation, communications can become much richer. Imagine being able to paint and publish a living virtual and interactive picture that is automatically always up to date? If there is room for misunderstanding in print about what a natural resources mega projects will look like during construction, in operations, and when it is returned to the natural environment, simulated environments help overcome it. We live in a world that is more connected, more data driven, and one with ever greater competition for eyes. Use of integrated platforms and increasingly compelling visualization will become the norm in driving natural resources mega projects forward. Many of the same technologies that have revolutionized other industries as diverse as automotive and consumer goods will be used to make this possible, furthering investor and community engagement in mining, oil and gas, water, and agriculture and forestry..